You’ve been looking at operating in Canada, and you have many questions. You’re well aware employment legislation is different, but you also know you’ll need to hire Canadian employees to staff your operations in Canada. You’ve been exploring your options to assist you in the hiring and management of these employees. You’ve come across several different terms, and now you have questions about what the best option is. To decide, you need to know the difference between employers of record and staffing firms. What’s an Employer of Record? An employer of record is different from a staffing firm. This entity is a business that partners with your company to handle most, if not all, of the HR tasks surrounding your Canadian employees. Employers of record serve as employees’ employers. That is, when it’s reported to the CRA who employs these people, the employer of record is listed instead of your own company. The business then has responsibility for virtually every aspect of your employees’ employment, excepting scheduling, work hours, and maybe rate of pay. They’ll look after hiring, termination, vacation pay and leave management, and payroll. They may also administer benefits. You’ll still be involved in many HR decisions. You’ll have the final say on hiring, and as noted, you have control over work hours and scheduling. You may also determine benefits and wages, to some extent. By contrast, a staffing firm is involved in the recruitment and hiring of new employees for your business. At the end of this process, however, you will become the employee’s employer. When it’s reported to the CRA, your business will be listed as the employer. You’ll be responsible for all HR tasks once the employee is hired, from payroll to benefits to leave management and more. Some staffing firms do provide additional services. For example, some of them will provide onboarding and training services for new employees. Others may also offer payroll services to their clients. Very rarely do they take on the encompassing role of the employer of record. There’s obviously some overlap between staffing firms and employers of record. There may be some companies out there who run the gamut from staffing services to acting as employers of record. 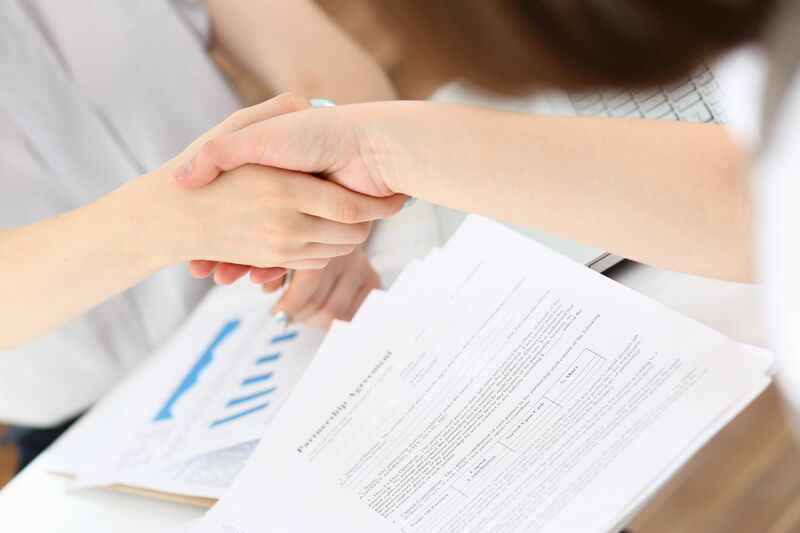 Generally speaking, however, employers of record offer much more encompassing and long-term service to their clients. Staffing firms may have long-term relationships with a business, but their services are usually focused on the short-term and only on a portion of the employee lifecycle. You can think of it this way. An employer of record is a long-term partner for your business. You work with them jointly and over time to manage your employees throughout the employee lifecycle, from hiring until termination. A staffing firm is often only involved in the first portion of the employee lifecycle. They focus on hiring, and they may offer some additional services. You may work with them every time you need to hire, but the relationship will be cyclic. The next question most business owners and employers have is “what do I need?” The answer depends somewhat on your business. Every business is unique, and so it will have unique needs. There is no “one size fits all” answer when it comes to the decision to work with a staffing firm or an employer of record. Many American firms and businesses based in other countries who expand to Canada do find it advantageous to work with employers of record. The long-term relationship and the focus on managing employees throughout the life cycle is a huge benefit for these foreign companies. If you’re not sure which is right for you, do some more research. Reach out to an employer of record and discover what they can do for you. Is your company thinking about expanding business into Canada? Maybe you’re already in the process of opening up shop in the Great White North. You’ve been thinking about business structures and learning more about the tax implications of each. You’re also wondering about hiring employees and paying them. There’s much to learn for anyone expanding business into Canada. At times, it may seem overwhelming, and you may wonder if you’re doing things correctly. There is so much at risk when you open up shop in Canada, particularly if you’re unfamiliar with the legislation in the jurisdiction you’ll operate in. There’s an easy way to simplify your Canadian expansion activities. If you’re expanding your business into Canada, consider working with an employer of record. An employer of record is another business you can partner with to administer much of your HR activity. The EOR becomes responsible for hiring employees, training them, administering payroll and other employee benefits, and releasing employees. 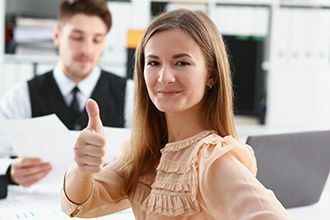 The employer of record is listed as being your employees’ employer, which makes them responsible for all activity relating to the employees in the eyes of the Canada Revenue Agency (CRA). The CRA will turn to the EOR for payroll remittances and so on. Why Work with an EOR? The next question on your mind is likely why you’d consider working with an employer of record when expanding business into Canada. After all, isn’t it just as easy to set up your own business, hire your own employees, and administer payroll and other HR activities for them? Your knowledgeable and talented HR staff manages these activities for employees at your home branch. Why couldn’t they do the same for your Canadian operations? The answer lies in the issue of legislation. Since employment legislation is administered at the provincial level, there’s an additional layer of complexity here. If you’re expanding business into several locations, you may quickly find you need to learn not one set of laws, but several. Keeping track of one set of laws in your home country can be difficult enough. In places like the United States, your HR staff is already dealing with additional sets of laws, since each state can rule on various aspects of taxation and employment. Are you really going to ask your HR staff to learn yet another set of laws for your Canadian employees? Even if your HR staff felt they had the time and the knowledge to administer Canadian payroll and other HR activities, it’s still better to leave it to the experts at an employer of record. While the American IRS has earned a fearsome reputation for penalizing individual taxpayers and businesses alike, the CRA isn’t far behind. Failure to maintain compliance in payroll can lead to penalties, audits, and even criminal investigations. A failure to obey employment legislation can also cause unforeseen headaches for foreign firms expanding business into Canada. The issue is often that people are unaware of the laws or fail to understand the nuances. This is made worse when businesses open locations in two or three provinces, since each province has a different set of laws and standards. Maintaining compliance in Canada doesn’t need to be difficult, however, and an employer of record can make it easier. They’re the experts, so they know the ins and outs of all Canadian laws. They can help guide you on everything from business structure to vacation pay to termination packages. If you’re expanding business into Canada, make sure you do it right and engage an employer of record. They’ll ease the process and help you maintain compliance to ensure your business can be successful. You’ve heard all about the benefits of teaming up with an employer of record in order to expand your business operations into Canada. Legislation can change from country to country and even from province to province, which can complicate hiring, termination, and even calculating vacation time and holiday pay. Working with an EOR solves all these issues. If you’ve heard others warn you of the “dangers” of teaming up with an employer of record, you can almost bet these folks went about engaging the EOR the wrong way! If you’re concerned about partnering with an employer of record, learn what not to do when you approach them. What do you want out of your partnership with the employer of record? With all the talk of advantages, you may think the sky’s the limit. You want whatever the EOR can do for you. Keep in mind employers of record aren’t miracle workers. They’re very helpful and, when engaged correctly, they can help keep your business on the straight and narrow. If you can’t tell them what you want or what you expect, they probably won’t be able to live up to your standard. Instead, think about what your business needs are before you approach the EOR. Once you have a clear idea of what you need, you can talk to your potential partner about their services and how they can meet those needs. Setting expectations is part of a larger task: communication. 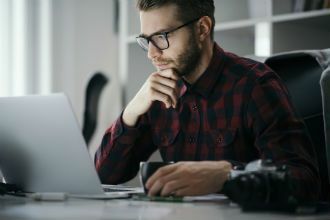 Many business owners and managers who try to connect with EORs and fail do so because they don’t communicate properly. Keep in mind poor communication can happen on both ends of the line. Representatives at the EOR’s offices may not be 100-percent clear or they may promise too much. They might fail to communicate important details. Similarly, you may forget to mention certain details or decide not to ask when something wasn’t clear. If something is unclear, ask. Don’t be afraid to restate your points or to mention details a second (or even third) time. Good communication is key to a great relationship with your employer of record. Some company owners and business managers like to think they can pull the wool over a potential partner’s eyes. In the end, this strategy almost always backfires, as the truth will come to light. Take, for example, a company that wants to team up with an EOR, but their finances aren’t quite in order. The client decided to disguise the truth about the financial situation. The employer of record initially didn’t ask them to provide funding for payroll, believing the company to be in good financial standing. Just before implementation, however, someone at the EOR discovers evidence of the funding issue at the client company. Maybe an initial payment bounced or a lien came to light. Either way, the EOR now demands upfront payments for payroll to protect their own issues. The client company is furious and the deal collapses. This wouldn’t have happened if the client company was just upfront and honest in the first place. While it may have meant they received less favourable terms, they would have still had a good relationship with their EOR and help with their payroll. One other issue might have happened in the example scenario above. Maybe the client didn’t read the fine print. Perhaps they thought the EOR wasn’t asking for an upfront payment, but the contract said otherwise. The client was thus surprised and thought this was “changing” the terms of the agreement. Be sure to read the fine print of any contract you sign, whether it’s with an employer of record or another service provider. Engaging an EOR is easy, so long as you do it the right way. Payroll and HR are large and sometimes time-consuming tasks. The larger and more varied your workforce, the more complex these activities become. Things certainly get more difficult when you have employees operating in other countries. Since payroll and HR also have a legal component, you want to be sure you’re doing things right. One thing you can do to make these tasks easier for your HR department staff is use employer of record payroll services for your employees working in Canada. You may have considered employer of record payroll services before, but you weren’t quite sure they were right for your business. If you’ve noticed any of the following signs in your business, however, it could be time to adopt EOR services. Were you audited or fined for your Canadian payroll taxes last year? If so, it could be time to adopt employer of record payroll services for your business. Paying employees in different jurisdictions is difficult, let alone paying employees operating in a completely different country. Your HR staff members are likely expert at administering payroll in your home country. How familiar are they with the Canadian legislation about payroll taxes and record-keeping? You may have calculated payroll taxes incorrectly or submitted your return at the wrong time based on a lack of familiarity with the Canadian payroll regime. This can result in fines or audits. Using employer of record payroll service can help you avoid these sorts of mistakes, along with costly audits and fines. Have you ever operated in Canada before? Whether you’ve hired one Canadian employee, arranged to work with a contractor, or have multiple employees in Canada, employer of record payroll services could be the solution you’re looking for. When a foreign business expands into Canada, the HR department often lacks the intimate knowledge of the Canadian legislative scene. As a result, payroll and HR errors are common, which can lead to audits and fines. By employing EOR services right off the bat, you can protect your business and ensure you’re managing HR and payroll correctly. Maybe you’ve been operating in Canada for a while, but you’ve just opened a branch office in Manitoba. Do you know all the differences between payroll in Ontario and Manitoba, or BC and Nova Scotia? If not, it’s time to call in employer of record payroll services. They’ll be sure your payroll and HR activities are compliant, no matter which province your employees live and work in. You haven’t been audited or fined yet, but it was a near-miss. You noticed last year that there were mistakes in the payroll. Maybe your employees complained or brought errors to your attention. Maybe you’re aware of new legislation or changes to old laws, but you’re not entirely sure how they’ll affect you. Any which way, the outcome is the same. You’re concerned about compliance. Partnering with a provider of employer of record payroll services can put all your worries to rest. Have you checked in with your HR staff lately? How do they feel about administering payroll for workers operating in different countries? If your business is expanding in all directions, chances are your staff feels a little overwhelmed! They may be rushing to get payroll done and making mistakes along the way. They may not have time to familiarize themselves with the ins and outs of different payroll regimes. If you just don’t have the time to manage payroll for your international employees properly, consider employer of record payroll services. They could be just the solution you’re looking for. Do you employ people in Canada but have your head offices located in another country? Maybe you’ve hired some temporary or contract workers to complete projects for you. Whatever the situation, you may be wondering about Canadian employer of record services for your business. When you hire workers in another country, you may not want to be responsible for them—you want the work to be completed, but you don’t want to have to deal with hiring, termination, payroll, taxes, or any HR compliance. You don’t want to worry about a new country’s tax code or employment standards. What’s the Difference between an EOR and a Staffing Firm? Some people believe employers of record are the same as staffing firms. While they may be similar or offer similar services, there are some key differences between these organizations. A staffing firm will hire and place employees with your business. They may include employer of record services as part of their client offerings, but not always. In Canada, these services don’t need to be offered by a staffing firm. The two are different businesses entities, although employers of record often work with staffing firms. If you’re interested in Canadian employer of record services, you may be wondering what you can expect and why you’d choose these services over another option. Canadian employers of record provide comprehensive payroll and HR services for your business. They act as the legal employer of the workers, taking the load off your in-house team. This is particularly useful for employers who hire employees on a temporary basis or hire workers in different jurisdictions. These services allow another entity to act as the legal employer to your Canadian employees. They handle payroll, including taxes and withholdings, the calculation of vacation time and pay, and so on. They won’t, however, handle the day-to-day management of your workers. Canadian employers of record handle everything you’d need to, without you needing to worry about the ins and outs of Canadian payroll or varying legislation in different provinces. Since the employee technically isn’t yours, someone else is legally responsible. They’re also a great option whether you work with a staffing firm or not. If you’ve been wondering how you can minimize the burden on your payroll and HR team while ensuring you stay compliant in a new jurisdiction, consider Canadian employer of record services for your business. It could just be the right solution. Employer of record services have been growing in popularity in recent years. As the size of the contingent workforce has grown, and more businesses and industries have adopted contingent working arrangements, the need for these services has also grown. The contingent workforce is predicted to keep growing into the future, which means EOR services aren’t going anywhere any time soon. In fact, you might be looking at adopting them for your business in the near future. You may even need these services right now! 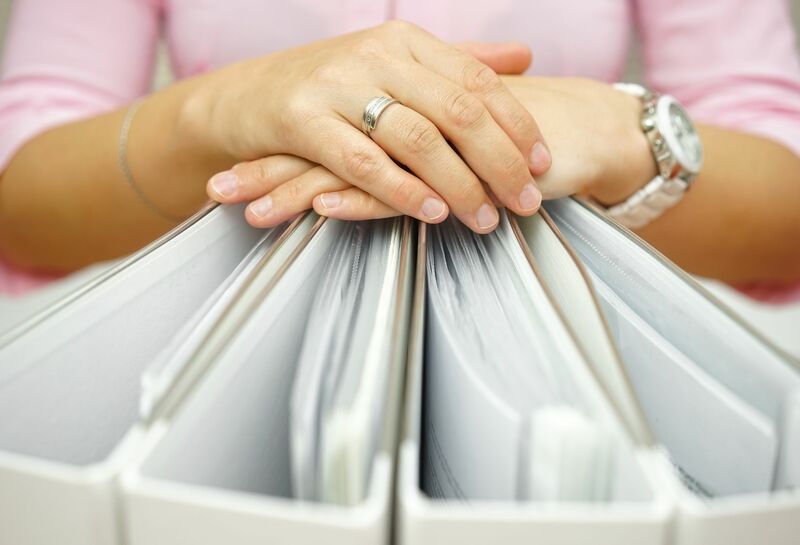 How can you tell if you need to adopt employer of record services in your business? These four signs may provide some clues. Until recently, most companies used part-time and full-time permanent working arrangements. You’d hire an employee and they’d stay with you until you let them go or they quit. If you didn’t need another person working 40 hours a week, you may have hired someone part-time versus full-time, but that was about as much flexibility as you had. Now, you have a choice of many different options, all designed to give you much more flexibility. Seasonal, temporary, and contract workers have all become much more popular. 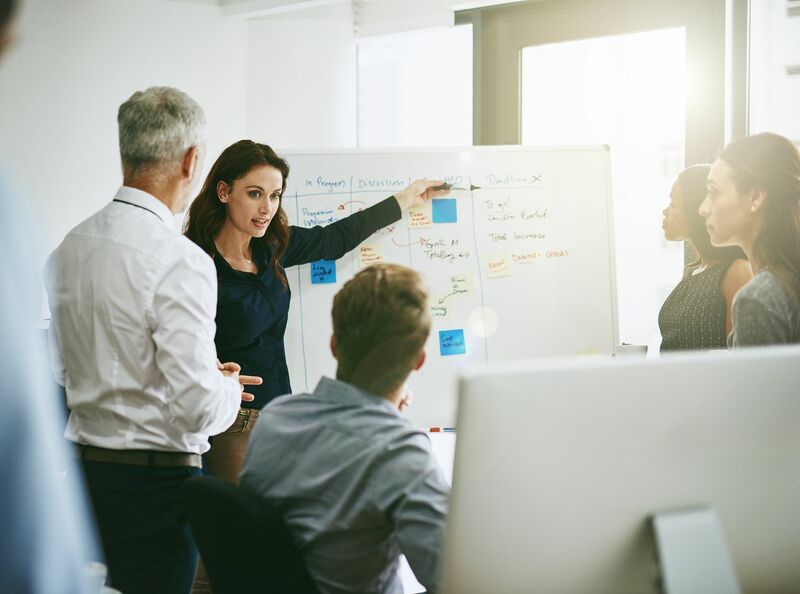 Today’s business environment demands organizations be nimble, and a contingent workforce helps you navigate this environment more easily. If you’ve recently started hiring contractors or you’ve hired quite a few of them, you may find you don’t have the resources to manage them properly. In this case, employer of record services could be just what you need. 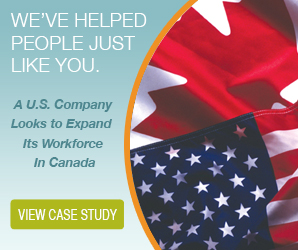 Are you expanding your operations into Canada? This situation can quickly become confusing. How well do you know the legislation in Canada? You may be surprised by the number of differences between Quebec and Ontario! Foreign firms have a large challenge ahead of them. The Canadian payroll and taxation system is quite different from that of the US or the UK. Add in the fact that legislation changes between provinces and territories, and you have a recipe for trouble. Employer of record services help you avoid any trouble with the Canada Revenue Agency. Since the service provider handles everything to do with payroll, you don’t need to worry the CRA is going to come knocking on your door about a tax error you didn’t even know was an error. Whether it’s because you’ve suddenly expanded your contingent workforce or because you’re operating in many new jurisdictions, you just don’t have the HR personnel to keep up with payroll and taxes any longer. Your people are constantly run off their feet. What should you do? Hiring is one option, but you’re not sure your budget can take it. Take some of the load off by getting employer of record services. These services are often a more economical solution than hiring more staffers for the HR department. It allows your team to focus on their core tasks, rather than trying to learn Canadian tax legislation and Saskatchewan vacation time rules inside out. Maybe you’re operating in a new jurisdiction. Maybe you’ve had a tax audit in the past. Whatever the reason, you want to make sure you’re compliant. Employer of record services make it easy! If you see these signs in your business, consider employer of record services as a solution. Talk to a provider today and discover how they can help you run your business more effectively and efficiently by taking over the legal management of your employees. The year 2018 is perhaps one of the most opportune times for U.S. and foreign employers to expand their businesses into Canada. Last year, the Canadian economy saw a 3.1 percent increase in growth, and even as its rapid pace has slowed somewhat in 2018, forecasts are still predicting a solid 2.2 percent. Despite such a solid base for U.S. and foreign business prospects to gain a foothold, many businesses hesitate to expand into Canada. The apprehension is understandable, given that registering a business in Canada as a foreign employer can be complicated. 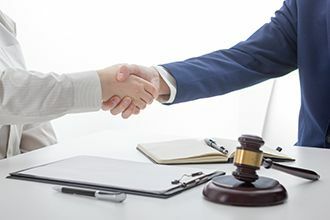 There are many tedious steps involved in setting up shop legally in Canada since businesses are regulated differently from province to province (or territory). If you’re determined to establish grounding for your business, however, chances are you’re looking for an employer of record (EOR). Such an organization can streamline the whole process, and we’re here with a complete guide to help you find the right EOR. Does the Employer of Record Have Canadian Experts? The above is the first question you should be asking yourself when you’re surveying your options for an employer of record. One of the biggest mistakes that you need to avoid as a foreign business planning to expand into Canada is being uninformed about the Canadian market. Many U.S. businesses in particular make this mistake; they assume there are enough similarities between American and Canadian markets that they believe they can manage on their own error-free. This mistake can be a drain on both your business’ time and resources, as there are many potential pitfalls concerning proper establishment of a Canadian administrative presence and infrastructure. Will the EOR Manage Government Accounts? A proficient EOR should be able to keep up ongoing payroll compliance. Canadian compliance is notorious for its constantly evolving nature. Fines for late or missed remittances are also steep—up to 10 percent for payments over $500 and seven days late. There isn’t much room for error, and your business reputation will rapidly decline if you often underperform in the compliance area. The right EOR will register and maintain all necessary government accounts, such as those with the Canada Revenue Agency and WSIB. Can the EOR Meet All Your Employment and Payroll Demands? Ideally, your business should have all necessary accounts by the time you start employing workers in Canada. The right EOR will make that process a cinch, but it will also ensure your banking and insurance infrastructure is set for timely and compliant payroll. In effect, your EOR should take over all employment matters and ensure compliance. There’s a lot you need to know about paying employees in Canada. You need to keep up on legislation, make sure T4s, Records of Employment, and paystubs are properly distributed, and see to the admin of your employee benefits and RSP contributions, among other tasks. High-quality EORs can meet all the demands of running a business in Canada and more. Partnering with the right EOR will allow you to focus on what you excel at: your core business responsibilities. Employer of record services, or EOR services, are becoming more and more popular as companies begin to acclimate to the new outsourcing culture. But with every new acronym that’s added to the business vernacular comes many new questions. What exactly are EOR services? What can they do for my company? Is it worth it? Read on to learn the answers to some of the most common EOR questions. 1. What Is an Employer of Record? An employer of record is a company that businesses partner with to legally manage all employee issues, such as payroll, taxes, benefits, contracts, and paperwork. The EOR is technically the employer to your employees for tax purposes and must handle all work and issues that come along with that title. 2. What Do Employer of Record Services Include? In a nutshell, EOR services include all employee management processes. This includes taking over the legal responsibility for your workers. International companies often outsource EOR services to ensure that business in a foreign country is conducted in compliance with local policy and legislature. EOR services also include human resources tasks. This involves the hiring process; onboarding procedures; staff termination; health and safety training; and more. One of the most popular reasons companies outsource to EORs and PEOs is payroll. Payroll is often the most vexing of administrative duties, and small business owners especially enjoy the relief of outsourcing the process. This is especially helpful for those international companies as two countries can have vastly different regulations despite cultural similarities, such as Canada and the U.S. This includes all aspects of paying your workers. EORs will calculate payroll, send out paycheques and pay stubs, and respect local tax policies. 3. Which Types of Businesses Can Benefit from Employer of Record Services? Different companies benefit from EOR services in different ways. International companies can especially benefit from outsourcing EOR services. This way, out-of-country employees receive their due attention and care while receiving payment according to their country’s legal standards. Many small business owners use EOR services to take advantage of their payroll expertise. This often allows business owners to focus on core business activity without the headache of calculating payroll regularly. Start-ups are another type of business that has begun taking advantage of EOR services. Start-up runners are often new to the business world and take advantage of the expertise that comes with EOR services. Also, this way their small staff can be “employed” by an established organization while the founder builds up their own infrastructure. 4. How Will Outsourcing Employer of Record Services Benefit Me? There are a few key benefits to outsourcing EOR services, some of which have already been touched upon. First, you save yourself time by freeing up employees from tasks that can be outsourced. They can then use that time to focus on tasks that directly affect your bottom line. Also, EOR service providers emphasize the importance of safeguarding confidential payroll and HR information. You can be sure that outsourcing these functions will result in greater security. Most importantly, outsourcing can save you money. When you consider the time, resources, and staff used to stay on top of payroll, HR, and administrative duties, you realize just how much money they are taking from your company. EOR providers are professionals in these fields and can perform these tasks more efficiently, often costing you less than you already pay. For example, businesses that outsource payroll save an average of 18 percent versus companies that conduct payroll in-house. Not to mention, handling payroll in-house leaves a lot of risk to chance. Outsourcing is always a difficult decision. Especially when you’re talking about the vital tasks that make up employer of record services. However, it’s not a decision to be rushed. Regardless of your decision, you’re already a step ahead of the competition by being informed and knowing what your options are.